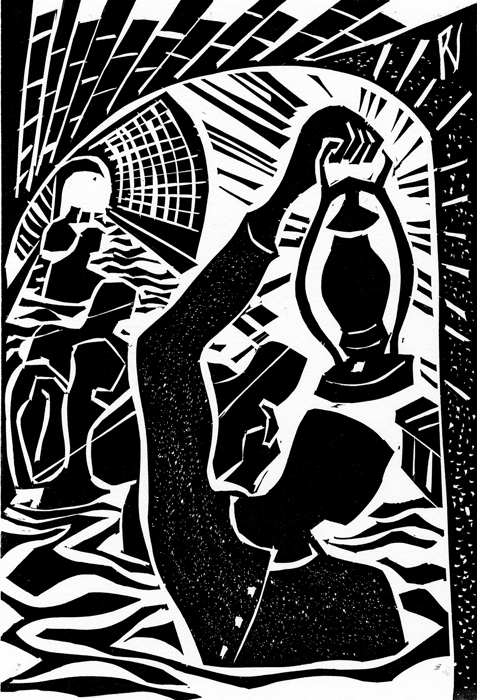 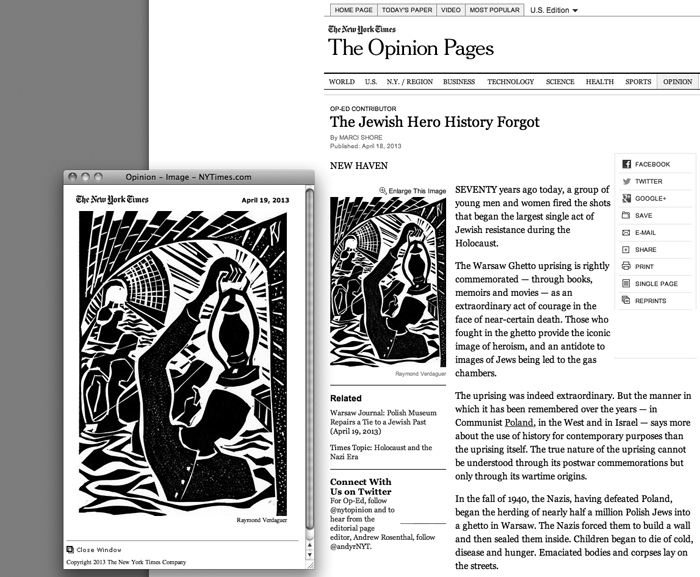 April 19 , 2013: commissioned and published linoleum cut illustration for the New York Times, Opinion page “The Jewish Hero History Forgot” by Marci Shore. 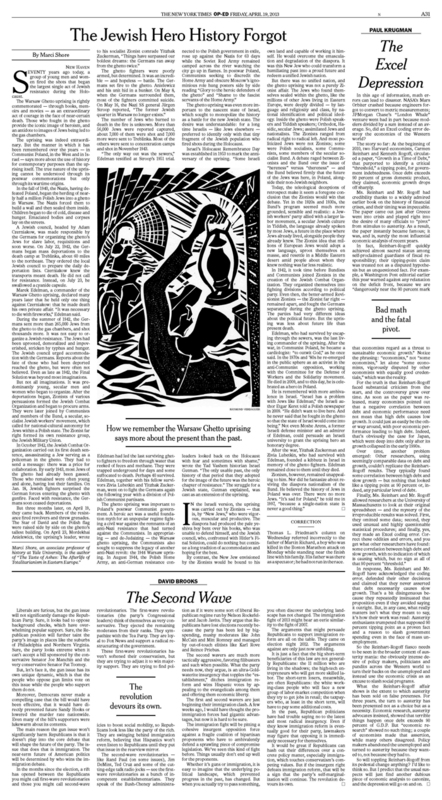 Texts © copyright The New York Times. 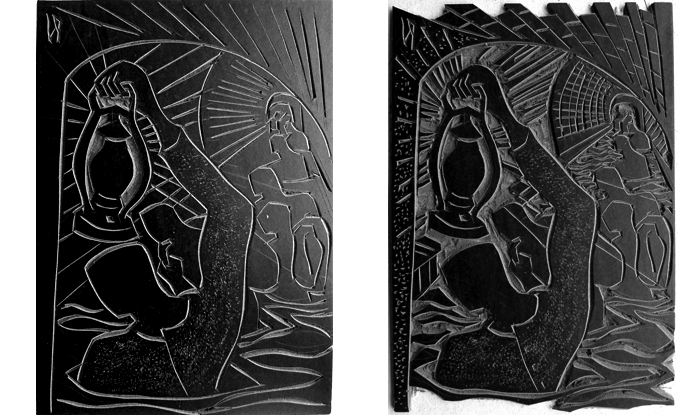 Drawings linoleum cuts, photographs and texts © copyright Raymond Verdaguer, 2013.